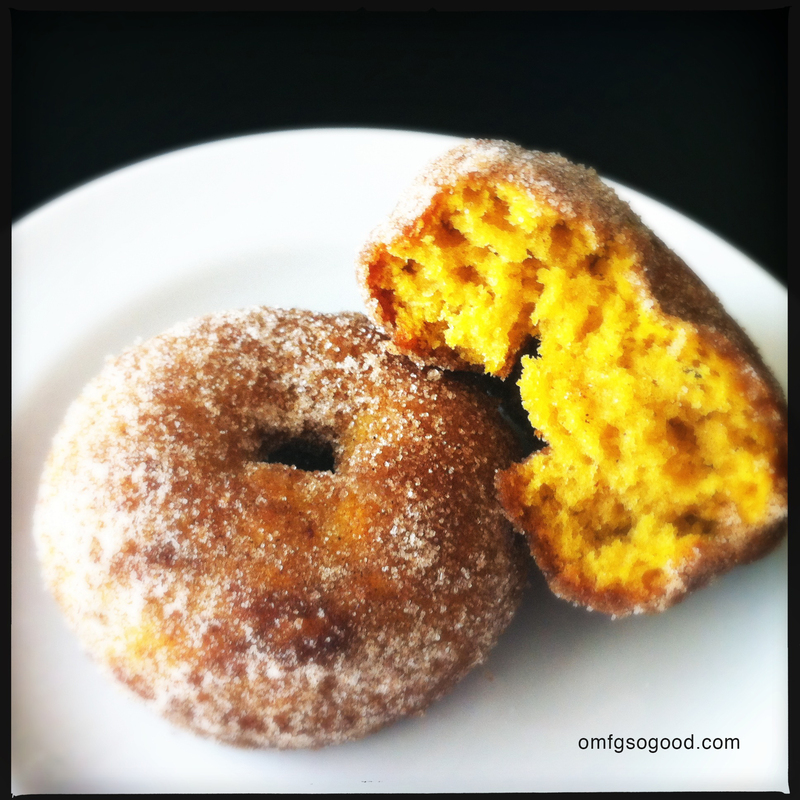 pumpkin muffin donuts | omfg. so good. Pumpkin. It’s what’s for breakfast. Yes, I know I totally stole that line from the great American “eat more beef” campaign. When I was a kid, my mom made these delicious buttermilk muffins that were texturally way closer to donuts. She would turn them out of the pans when they were still warm then roll them in melted butter and toss them in a bag with cinnamon sugar which was then handed over for my sister and me to shake. They. Were. To. Die. For. 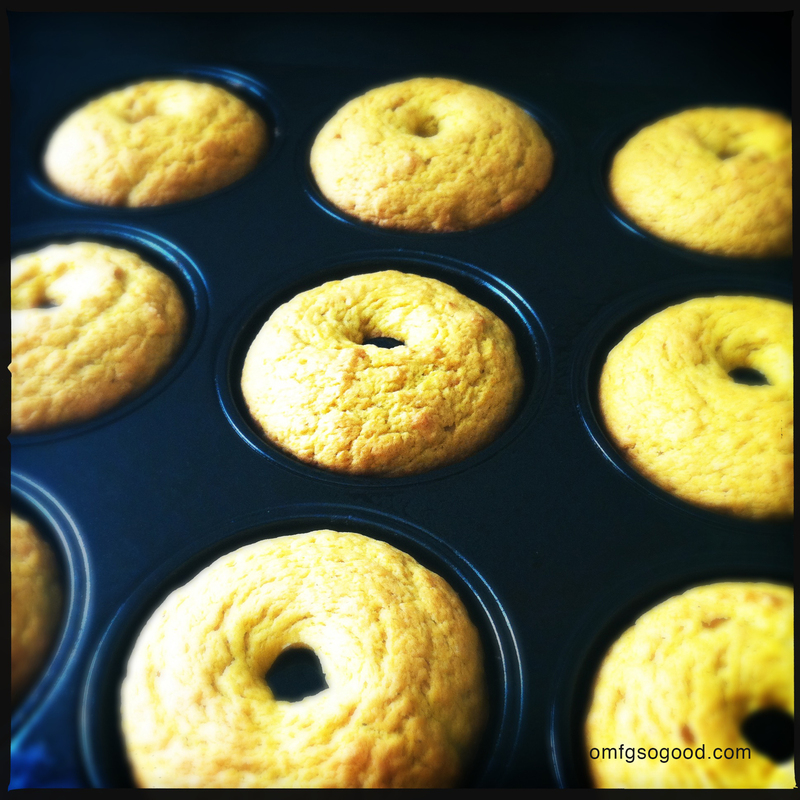 This recipe is my rendition of her classic buttermilk muffins, with the added warmth of pumpkin and freshly grated nutmeg. And since I am the proud owner of a fancy donut pan, I can officially call them muffin donuts. Preheat oven to 350 degrees. 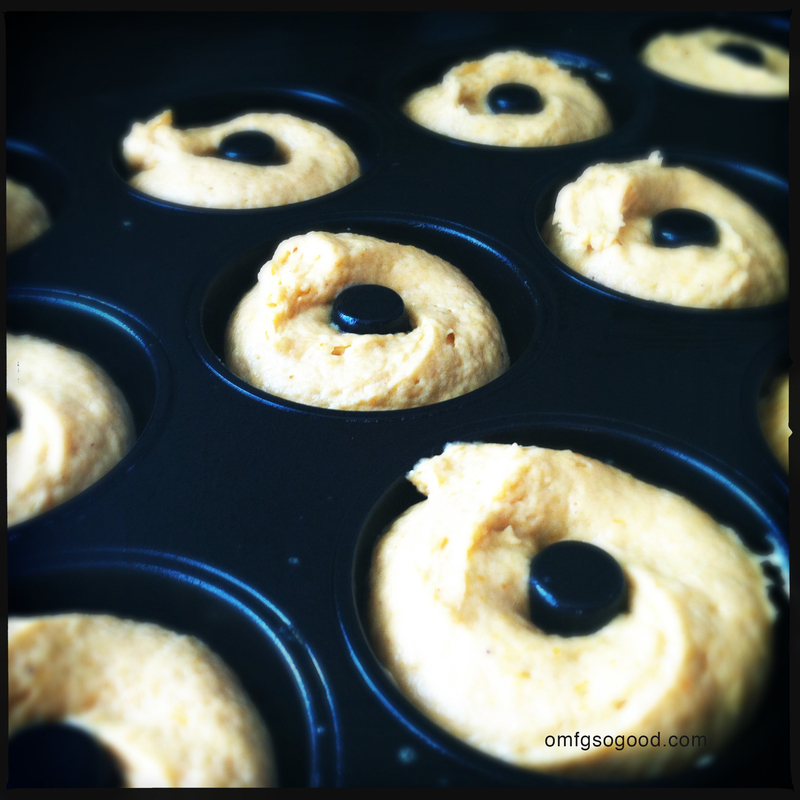 Spray donut pan (or muffin tins) with cooking spray. In a medium mixing bowl, sift together flour, baking powder, baking soda, salt and nutmeg. In a small bowl, whisk together pumpkin puree and buttermilk. In a separate mixing bowl using an electric mixer, cream together butter and brown sugar. Add eggs one at a time, mixing on low speed in between. Alternately add flour mixture and pumpkin/buttermilk and mix to combine. 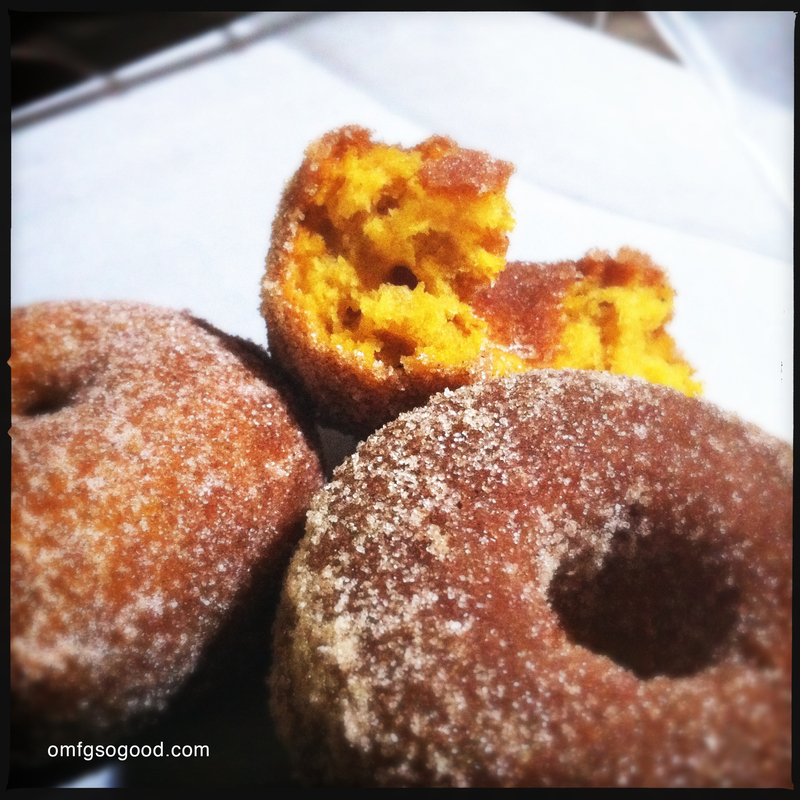 Spoon batter into a ziplock bag and snip one corner with kitchen scissors then pipe the batter evenly into the donut pan holes. Bake for 30 minutes. Remove from oven and cool on a wire rack for just a few minutes. Turn the donuts out on to the wire rack and prepare the topping assembly line. Melt butter in a microwave safe dish. Combine sugar and cinnamon in a large ziplock bag. 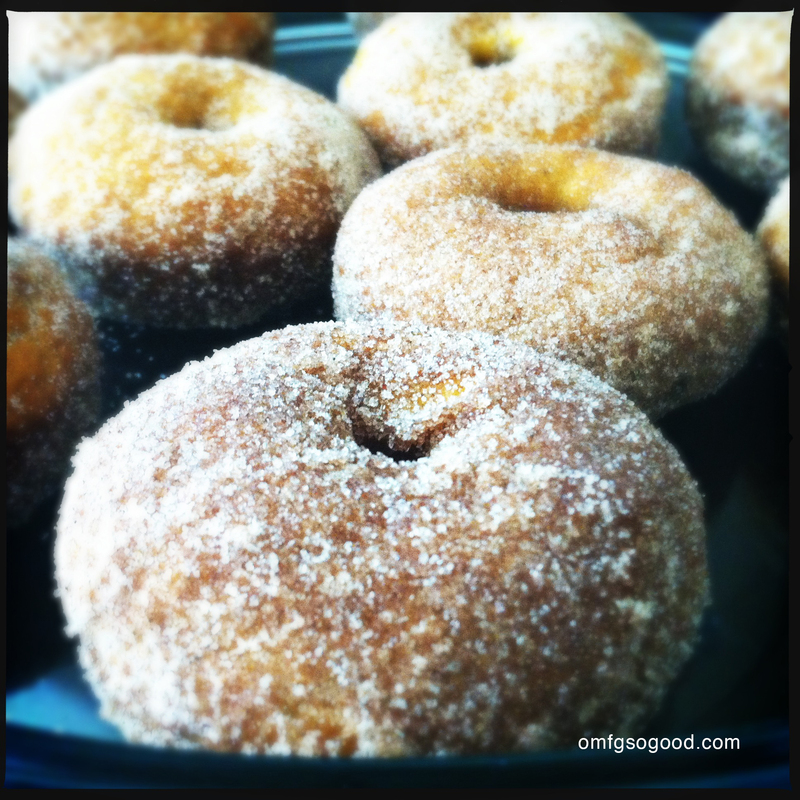 Roll donuts (one at a time) in the melted butter then toss in the cinnamon sugar bag to coat. Remove and return to the wire rack or parchment paper. Every responsible cook should try their food before sharing with friends. Be responsible, eat one. No one will be the wiser. 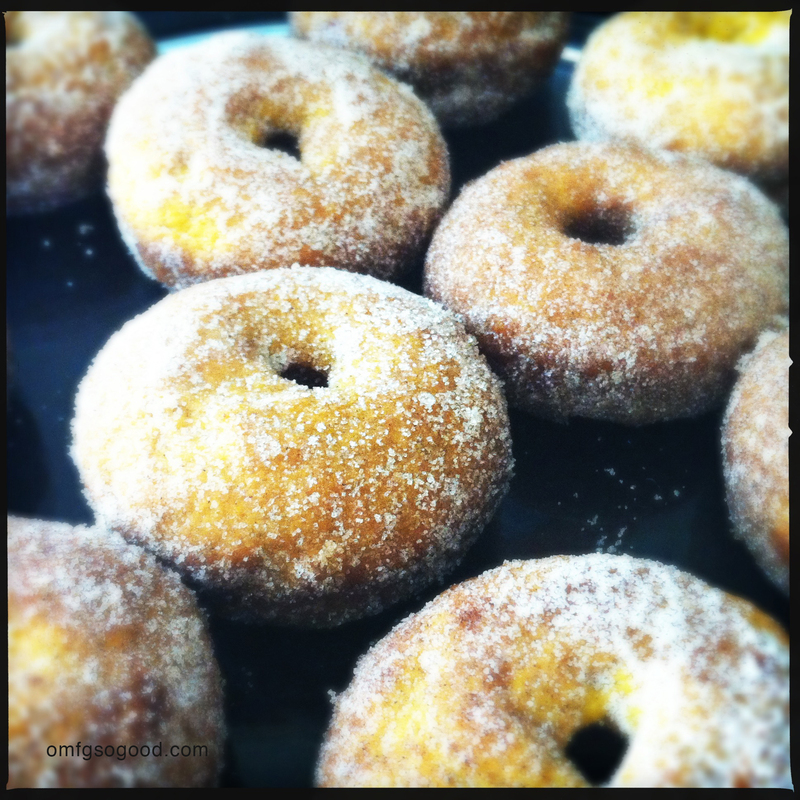 Continue rolling and shaking until all of the donuts are coated in delicious buttery, sugary, cinnamony perfection. Perfect with a glass of milk. Or a cup of coffee. Or a Pumpkin Ale. Wait, did I just say that? Well I’m excited for these.